The Internet has made worldwide marketing easy and affordable: Targeting various countries around the globe can be done by small businesses these days which is awesome! 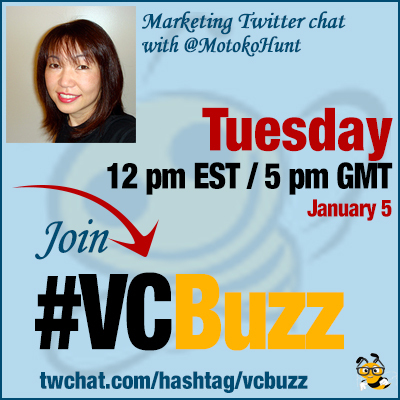 We are talking to an Asian marketing expert today @MotokoHunt who has been doing search engine optimization since 1998!
. @MotokoHunt is search marketing consultant since the mid ’90s, helping US and European corporations to enter Japanese and Asian market. Q1 How did you become a search marketer? What’s your career path? Before I got into the digital marketing business, I was in the traditional marketing business in Los Angeles. Then I started to build Japanese sites for US companies in 1995. Many asked me to submit it to Yahoo Japan and other Japanese engines. To help my customers do better, I started to do more than website design and localization, & got me into the SEO & SEM business. Then, I started AJPR in 1998 offering Japanese SEO and SEM services to non-Japanese companies. Now, my work is more with in-house people supporting their International SEO/SEM work. 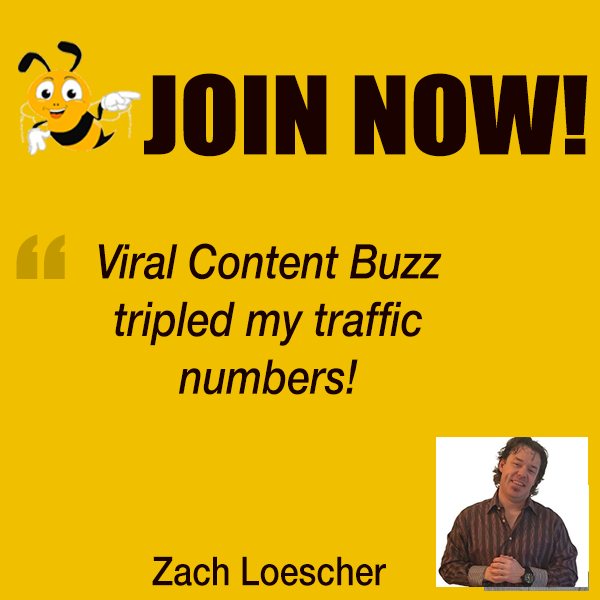 #VCBuzz Started as a freelance journalist and fell into marketing. Love seeing campaigns come full circle. Q2 How has been search marketing evolving since when you started? What are the most astonishing and amazing trends you’ve seen happen over the years? When I started, there wasn’t really any concepts of search marketing, yet, so things have changed a lot since. Only a handful of companies were considering targeting foreign countries using websites back then, and it took some convincing to do even with large sized companies to invest in localization. At the beginning, not many companies allocated much budget for SEO/SEM. I think it was around 2000-2002, when SEO/SEM really took off and became a main stream marketing channels. Budget has grown tremendously, which is great as it supports industry’s healthy growth, & most importantly client’s businesses. Most companies first placed SEO under IT/Web. Once they realized the effectiveness of SEO, they moved it under Marketing. One of welcome changes is that more companies now realize SEO is unique & cannot be put under traditional corporate structure. Successful SEO needs all aspects of corporate strategies and planning, IT/Web/Marketing, etc. Another welcome change is to have variety of excellent tools to make work efficient. Many tools are multi-lingual, which is even better. It took a while for tool companies to invest in making them Asian friendly. No surprise even a small business to operate globally via web now, and that’s one of the aspects I like about search marketing. Q3 What would be your advice to a small business willing to enter Japanese market? Where to start and how to proceed? If you aren’t sure about the market, test it w/PPC campaign 1st with a couple of Japanese landing pages using Japanese keywords. If the market responds well, localize website and optimize Japanese site. Having “.JP” domain is the best practice, but it’s ok to add JP site to your existing domain. You need good Japanese keyword research. Don’t just translate content from EN to JP. That’s where many fails with International search marketing. International sites shouldn’t be just copy versions of EN site. Having mobile friendly site is very important for targeting Japanese customers. It’s not just about SEO. Remember to make necessary changes for Japanese customers such as shipping cost, return policy, etc. Learn Japanese holidays & event calendar, if your sales may be effected by that to adjust budget, products, especially for SEM. Japanese customers value good customer services & high quality products/services more than any other customers. If you can get Japanese customer reviews, use them on JP site. Q4 How are social media platforms different for Asian countries? How does marketing on social media differs from the US? There are locally grown popular social networking sites and services in Japan and other parts in Asia. It’s important to understand how they work especially if you are targeting China, because Facebook & Twitter don’t work in China. In Japan, Facebook and Twitter have become more popular than local SNS such as mixi. Not many Japanese use Linkedin heavily. There are certain manner & expected behaviors in Japan for using SNS. Don’t use SNS just for pushing information out. Communicate. Think of Fun, Cool, Cute, or Entertaining way to communicate. Tell your story. Images and Videos work well even for B2B. In addition to SNS, “Kuchikomi” (word of mouth/review) sites are very popular, and have huge impact on brand and marketing. In addition to monitoring, you can use those WoM/Review sites as additional marketing channel. Q5 Please share your favorite search marketing tools! Because I work with multilingual and multi-national websites, tools must work with different languages and different engines. As I mentioned earlier, I couldn’t find many tools did that even less than 10 years ago. For SEM, the 3rd party campaign management tools like Marin Software work well, especially since Yahoo Japan’s paid ad platform doesn’t always show the number of conversions correctly. Didn’t mention earlier, but in Japan, Google Japan powers Yahoo Japan’s organic results, but Yahoo Japan still has own Paid and other advertising products. Not connected to bing or AdWords. So, you want a tool that can handle Yahoo Japan’s campaign, not just Bing and AdWords. For SEO, I like BackAzimuth’s SEO toolset. It also has other tools like hreflang, xml file generation tool, which is great for big site. It helps me identify what need to be done to maintain/improve site performance on daily basis. It also compares per keyword PPC and SEO performance. It helps save tons of money and tells me where to spend more. To crawl sites, I use DeepCrawl and ScreamingFrog as many other SEOs use them. I also use Majestic for link analysis. These tools I mentioned work with Asian languages & bring data back from Asian engines. It’s not any more difficult than to target Western markets. You need to understand the market, and work from there. Most failure comes from not taking time to work on Asian sites and campaigns. It’s funny when you spend so much time/money/resources to create US or EN sites and campaign, but just translate them for other market with no efforts of making each site and campaign work for them. You may need different keywrods, messages, or conversion points for Asian market. Even in Asia, each country is different. AB test them!! Yes, color can be different from country to country, too. Japanese tend to like pastel/earthy colors.